Torn by conflict, the congregation to whom John addressed his letters stood in need of his strong exhortations to love and unity within the bounds of truth. His word to them is well suited to the church today, confronted by controversies within and without that challenge its ability and will to stand for the truth in a pluralistic society. 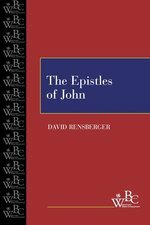 In this careful study of John's letters, readers will find an introduction that discusses the letters' occasion and purpose, authorship and date, order and theological themes. A passage-by-passage commentary follows that seeks to explain what each letter means for us today as well as what it meant for its original hearers. Students, pastors, Bible teachers and everyone who wants to understand John's message for the church will benefit from this excellent resource. Designed for the pastor and Bible teacher, the Zondervan Exegetical Commentary on the New Testament brings together commentary features rarely gathered in one volume. Written by notable evangelical scholars, each volume treats the literary context and structure of the passage in the original Greek, and each author provides an original translation based on the literary structure. 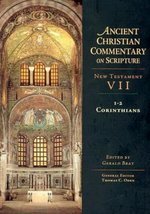 The series consistently provides the main point, an exegetical outline, verse-by-verse commentary, and theology in application in each section of every commentary. Critical scholarship informs each step but does not dominate the commentary, allowing readers to concentrate on the biblical author's message as it unfolds. While primarily designed for those with a basic knowledge of biblical Greek, all who strive to understand and teach the New Testament will find these books beneficial. The Zondervan Exegetical Commentary on the New Testament series covers the entire New Testament in twenty volumes; Clinton E. Arnold serves as general editor. In her commentary on John's letters, Karen H. Jobes writes to bridge the distance between academic biblical studies and pastors, students, and laypeople who are looking for an in-depth treatment of the issues raised by these New Testament books. She approaches the three letters of John as part of the corpus that includes John's gospel, while rejecting an elaborate redactional history of that gospel that implicates the letters. Jobes treats three major themes of the letters under the larger rubric of who has the authority to interpret the true significance of Jesus, an issue that is pressing in our religiously pluralistic society today with its many voices claiming truth about God. Edited by Gerald Bray, this commentary highlights the wisdom of Paul's epistles to the Corinthian church as understood, intrepreted and celebrated by early church fathers such as Chrysostom, Didymus the Blind, Theodore of Mopsuestia, Origen, and Ambrosiaster. Engages the reader by amplifying the biblical resonances echoing in our own world today by disclosing how God's Word is embodied and made known by those we least expect. This study of the Books of Kings unfolds with attention and sensitivity to the immense literary artistry that craft these narratives. While setting forth the literary and theological significance of these traditions concerning the major figures in these canonical books, i.e. Israel's Kings, this commentary consistently trains our attention upon the minor characters also resident in these stories. Fixing upon these individuals as well as the prophets, the exegetical discussion often discloses how God's Word is embodied and made known by those we might least expect. While steadfastly avoiding analogical readings, the theological and ethical exposition skillfully engage the reader by amplifying the resonances in these texts echoing in our own world today. The present volume gives an up-to-date, readable commentary on the books of 1-2 Kings. 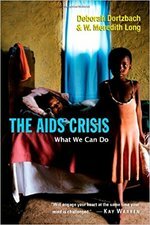 The commentary covers critical issues section by section while emphasizing the larger theological and literary issues in Kings and illustrating its relevance for modern readers. Francis Schaeffer once remarked that America is a post-Christian nation. If this is true, 1 Peter may well be one of the most relevant books in the New Testament. This small letter has much to say to individuals living in a non-Christian society. 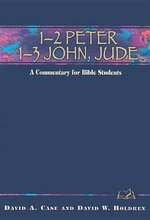 This commentary explores key issues that may explain why 2 Peter is one of the least read books of the Bible. The relationship between 2 Peter and Jude is given special attention. Five major objections to the Christian message, as presented by false teachers, are presented and Peter's rebuttal to each is noted. 1-2 Peter, 1-3 John and Jude is written with pastors and local church teachers in mind. Drawing on excellent biblical scholarship, this compelling commentary offers clear applications that impact the daily life of followers of Christ. This study provides excellent insight on the nature of Christ, the dynamic power of love, and the essence of holy living. Why do the books of Samuel pack such broad appeal? Taken together as a single narrative, they certainly offer something for everyone: kings and prophets, great battles and greater heroes, action and romance, loyalty and betrayal, the mundane and the miraculous. In Samuel, we meet Saul, David, Goliath, Jonathan, Bathsheba, the witch of Endor, and other unforgettable characters. And we encounter ourselves. For while the culture and conditions of Israel under its first kings is vastly different from our own, the basic issues of humans in relation to God, the Great King, have not changed. Sin, repentance, forgiveness, adversity, prayer, faith, and the promises of God--these continue to play out in our lives today. Exploring the links between the Bible and our own times, Bill T. Arnold shares perspectives on 1 and 2 Samuel that reveal ageless truths for our twenty-first-century lives. Most Bible commentaries take us on a one-way trip from our world to the world of the Bible. But they leave us there, assuming that we can somehow make the return journey on our own. They focus on the original meaning of the passage but don't discuss its contemporary application. The information they offer is valuable--but the job is only half done! The NIV Application Commentary Series helps bring both halves of the interpretive task together. 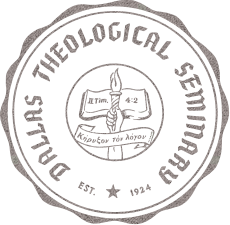 This unique, award-winning series shows readers how to bring an ancient message into our postmodern context. It explains not only what the Bible meant but also how it speaks powerfully today. The vision for this series is to provide for pastors, students, Sunday school teachers, and lay people a clear and compelling exposition of texts of the Bible in the context of the Bible's Story, and to provide discussion and instantiations of how the Bible's Story is lived today. 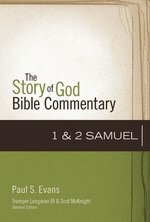 The purpose of the Story of God Bible Commentary Series is to explain and illuminate Scripture as God's Story, with each Old Testament text examined as embedded in its canonical and historical setting, in order to foster discernment in living the Story faithfully and creatively with and for the Church in the 21st century. Rev. Woolsey examines the instructions, warnings, and encouragement Paul gives and explains how to apply these teachings to our lives. An excellent resource for personal study, and especially helpful for those involved in the teaching ministries of the church, the Wesley Bible Commentary series will encourage and promote life change in believers by applying God's authoritative truth in relevant, practical ways. Written in an easy-to-follow format, you will enjoy studying Scripture insights that are faithful to the Wesleyan-Armenian perspective.